“Thanks to all that helped out on the PYO clean up day, we got loads of jobs done there and we really have done some great work to make the PYO area more sustainable. 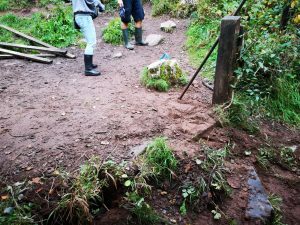 “Job 1, we dug a rain relief ditch above the car park this should help stop rain running down the road and entering the cave via letter box aven. 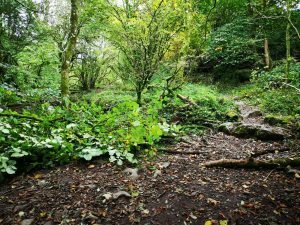 “Job 2, on the footpath from the car park to the resurgence we helped fell some trees and put the felled branches over parts of the path we would like providers to stop using in order to help sustain the path. 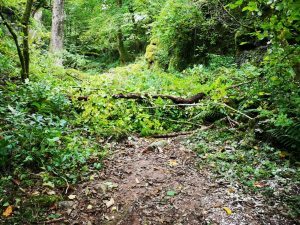 Please see pictures and if the branches are blocking the path you usually use then please stop using them and stay on the path BBNPA have designated. “Job 3, the stiles near the entrance of the cave have been removed as they were believed to be non-essential. “Job 4, trees and other storm debris was removed from river-right side of the entrance flow so that work can be done on the emergency cave exit on that side of the river. This will also prevent that debris from eventually entering the cave. “Please be aware that the emergency exit on river right is still not to be used as lots of the rock and mud are extremely unstable. BBNPA are hoping to do work on this in the future. 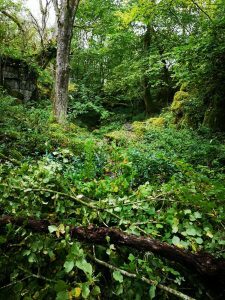 “I hope that the work we have done makes the cave environment better for all and if you have any questions about the work we have done and why then please email me: chair@swoapg.com. 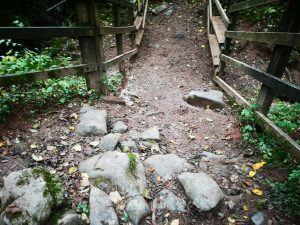 Access to Loonies’ Leap / Gunpowder Works: documentary evidence required! 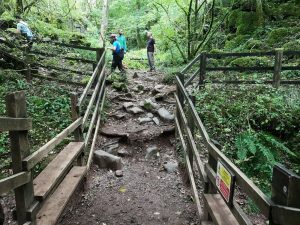 Further to our recent message about the possible closure of the private access road from Pontneddfechan Community Centre towards Loonies’ Leap and the Gunpowder Works, we are working with BBNPA to provide documented evidence of continued, historical access along this route since the mid-1990s. 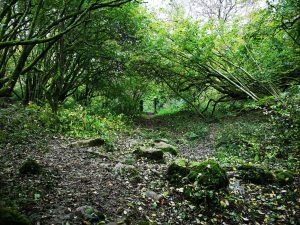 The section of the route we are interested in is from … Read moreAccess to Loonies’ Leap / Gunpowder Works: documentary evidence required! We regret that, due to the poor weather forecast for Friday 12 October we have decided to postpone our planned geology workshop. We will arrange refunds for those who have already booked places and will organise an alternative date in due course. Please accept our apologies for any inconvenience caused by this short- notice decision. If any of you have attended geology workshops with Alan Bowring (of Brecon Beacons National Park Authority) you’ll already know how good they are! 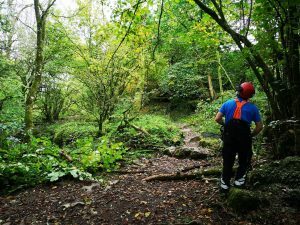 South Wales Outdoor Activity Providers Group still has spaces on a workshop with Alan on Friday 12 October, focusing on the geology of the Upper Swansea Valley. The workshop will run … Read moreSWOAPG Geology Workshop 12 Oct Final Reminder!